Joann McClellan, age 66, of Rutherfordton, NC, died Saturday, December 24, 2016, at Rutherford Regional Medical Center. She was a native of Rutherford County and the daughter of the late Frelan Johnny Goins and the late Geneva Julie Wellborn Goins. 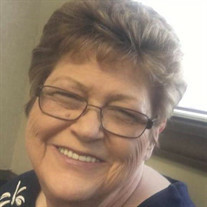 She was a member of Oak Springs Baptist Church and loved to cook. Joann will be rememberd as a loving wife, mother, grandmother, sister and best friend to all. She was preceded in death by one son Johnny Laughter, one daughter Angie Laughter and one sister Angie Goins. She is survived by her husband of 42 years: Calvin McClellan. Tammy Spivey and husband Danny. Shannon Kuykendall and husband Michael. Kylie Bradley and husband Tony. Eight Grandchildren and many nieces and nepews. The family will receive friends from 2:00 PM to 3:00 PM, Wednesday, December 28, 2016 at Oak Springs Baptist Church. The funeral service will be at Oak Springs Baptist Church at 3:00 PM, Wednesday, December 28, 2016 with Rev. Tommy Hutchins, Rev. Charles McClure and Rev. Kevin Bradley officiating. Interment will be at Oak Springs Baptist Church Cemetery. An online guest register/tribute wall is available at www.mcmahansfuneralhome.com. McMahan's Funeral Home and Cremation Services in charge of the arrangements.